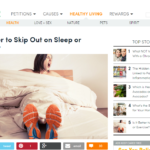 Should You Skip On Your Sleep And Exercise Instead? Sometimes you just can’t do both. Should you sleep in for an extra hour (or go to bed earlier) to try to catch up on lost shut-eye? Or should you wake up and fit in a much needed workout? 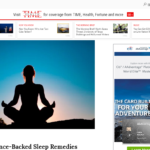 These Sleep Remedies Are Science Backed; Will They Work For You? Without sleep, your health — both mental and physical — as well as your ability to focus seriously suffers. And let’s be honest, without an adequate amount of rest, none of us are fun to be around. 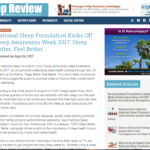 The National Sleep Foundation (NSF) today announces Sleep Awareness Week 2017, its annual event celebrating sleep health running through April 29. 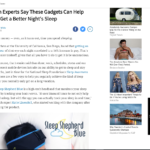 Advancing the theme, “Sleep Better, Feel Better.,” this year’s Sleep Awareness Week encourages the public to prioritize sleep to improve their overall health and well-being. Jonathan Rosenberg, Google’s former SVP of product, advises one of the most important tech CEOs on the planet, Larry Page of Alphabet, Google’s parent company. It’s no surprise that someone with Rosenberg’s schedule admits to having an “addiction” to his smartphone, something every professional can relate to. But even this busy exec makes a point of putting his phone away while at dinner and before bed. 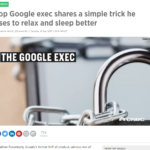 He says the simple habit helps him relax after a busy day and fall asleep. Scientific research says he’s on to something. 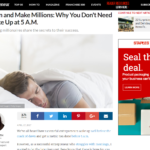 Entrepreneurs, you can still sleep late and make millions! Is Your Job To Blame For The Lack Of Sleep You’re Getting? Are you getting enough sleep? If you’re not getting at least seven hours or more every day, the answer is likely “no,” according to the American Academy of Sleep Medicine and the Sleep Research Society. 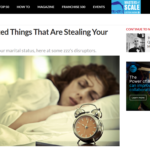 Sleep Problems: A cause of mental illness, or a symptom? 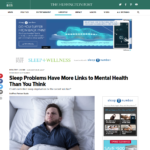 Do Sleep Problems Cause Mental Illness? Or Are They A Symptom Of It? 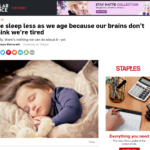 Ever Wonder Why You Sleep Less As You Get Older? It’s a known fact that as we age, we sleep less. But the reasoning behind this phenomenon is poorly understood. Do older adults sleep less because they need less sleep, or because they simply can’t get the rest they need?